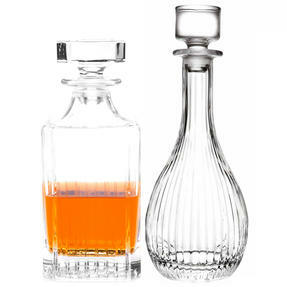 Expertly crafted in the heart of Italy, these two RCR Timeless decanters are the perfect addition to your tableware and special occasions. 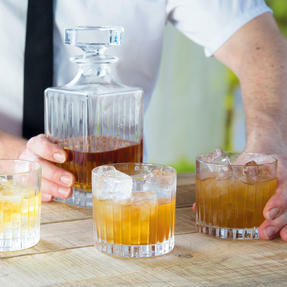 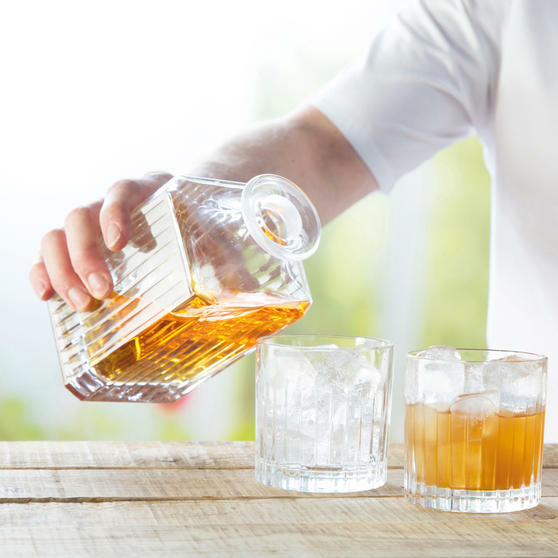 Finished in an aptly named Timeless design, this set includes a round and a spare decanter, ideal for storing wine, whiskey and other spirits at the table. 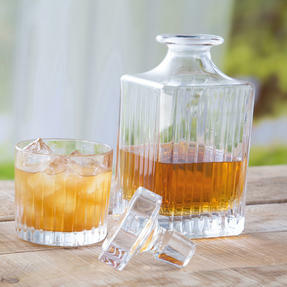 Developed in the highest quality Luxion crystal, this crystalware reflects light to create a dazzling gleaming effect. Luxion crystal is proven to be dishwasher safe, ensuring a quick and simple clean. 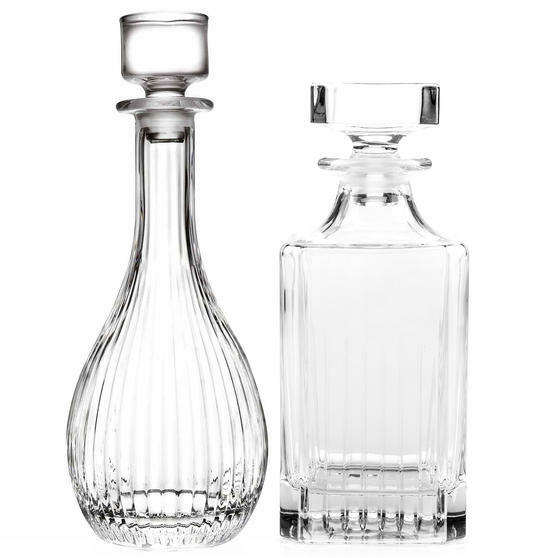 A classic, yet stylish addition to your table, this set of two RCR Timeless decanters is an ideal method to store wine and spirits. 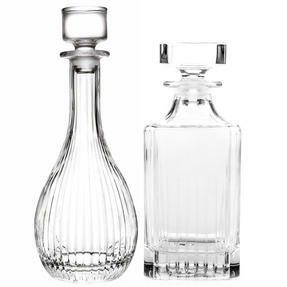 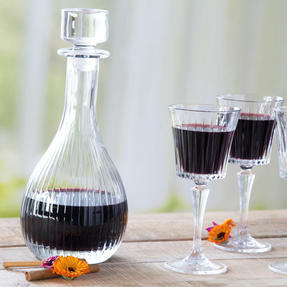 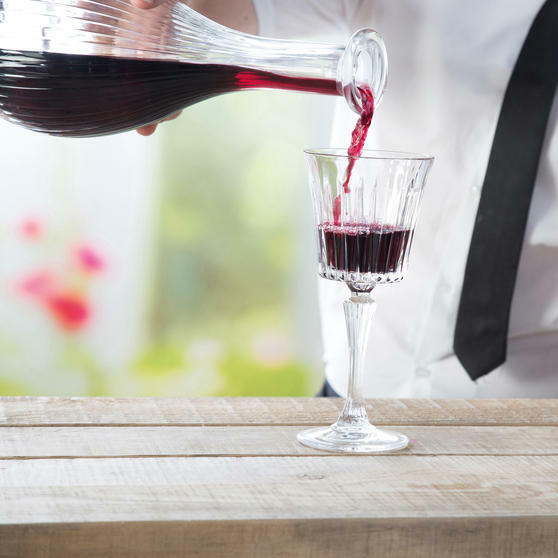 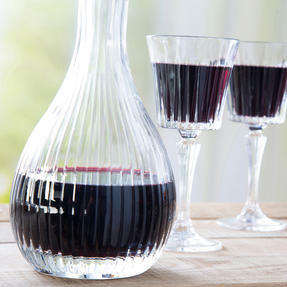 This beautiful duo includes a 90cl / 900ml round wine decanter and a 75cl / 750ml square decanter, both complete with stoppers. Celebrate in style with an aptly named Timeless design, a sleek pattern that is sure to please the eye for years to come. From the heart of Italy, RCR Luxion crystal is renowned for being of the highest quality, with a luminous effect which reflects light.